Bringing together flavors of Africa, India and the Mediterranean, Jiko offers guests a unique dining experience. 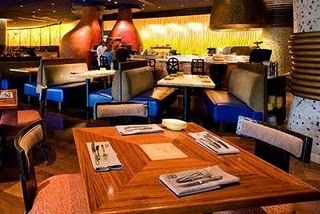 Located at Disney's Animal Kingdom Lodge, Jiko is designed with rich, warm tones. The menu offers something for everyone including those that have special dietary restrictions. Whether you are vegan, vegetarian, gluten or lactose intolerant, Jiko has something for you.